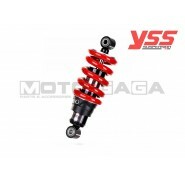 Thai manufacturerYSSproduces a wide range of TUV/MOT Certified Motorcycle, scooter &automotive springs and shocks, the suspension units we have are all made inThailand. 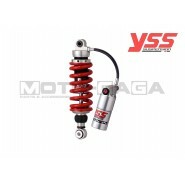 We carry an assorted range of aftermarket YSS sports suspension bits for a few variety of bikes. Makes a big improvement to your ride compared to stock feel at a reasonable price. Carry passengers and take corners quicker with more confidence with these stiffer shock absorbers. 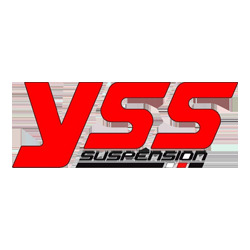 We have a limited range of YSS shocks, but measurements are provided should you maybe want to use this for a custom project. 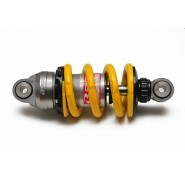 Please note that some of these shocks may have a limited production quantity. We will inform you if the item you want is out of stock after purchase. 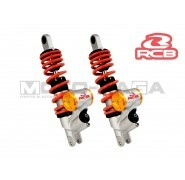 MZ - damping + hardness/preload adjustment gas-pressured shock absorbers with preload adjustment. 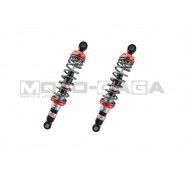 DTG(MB) - hardness/preload adjustment Double Tube Gas (DTG) shock absorbers, filled with both nitrogen gas and oil. 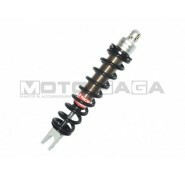 Comes with a progressively-wound spring and dual chamber gas-hybrid system special to the DTG series. Non adjustable but firmer than stock springs at their hardest setting. MO/MD - Hardness/preload adjustment, external gas reservoir. oil-pressured shock absorbersare an economically priced upgrade from the original items. Preload on the spring can also be adjusted to a few pre-set levels. 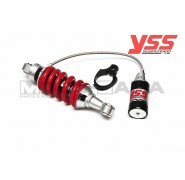 MX - damping + hardness/preload + height adjustment Premium range shocks, the main body of the damping reservoir is constructed using a high quality, anodised aluminium alloy with an external tank. 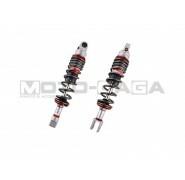 The shock height, pre-load and damping are all finely tuneable for your needs. ME - (damping + hardness/preload adjustment) gas-pressured shock absorbers. The 'ME-series' gas-pressured Emulsion shock absorbers are damped using nitrogen gas and a hydraulic oil. Quick damping response and high durability. 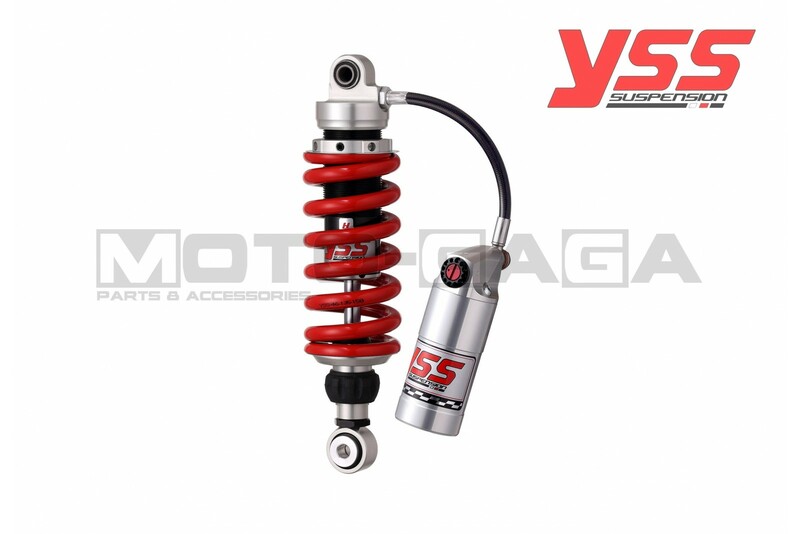 The spring pre-load and damping are adjustable and the main body of the shock absorber is constructed with anodised aluminium alloy.